The PowerWatch 2 delivers more robust fitness features into a smaller case. But the best part is you still don’t need to charge it. 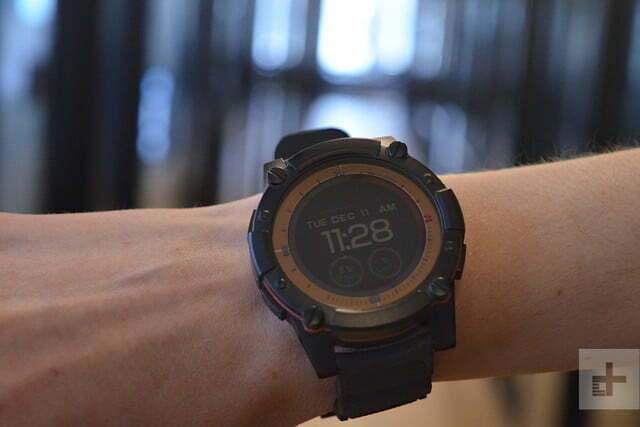 Matrix, a California-based company, is known to use body heat to charge its Indiegogo-funded smartwatches, the PowerWatch and the PowerWatch X. At CES 2019, the company took things a step further with its latest device, the PowerWatch 2, which comes with aesthetic upgrades, along with the ability to juice up with solar power. We had some hands-on time with a prototype, and particularly liked that it shrunk in size, a boon for those with smaller wrists. But the fact that you hardly need to plug the watch in to charge it won’t mean much if the watch can’t tackle all the necessary smartwatch features — so what can this $500 device do and will you want to wear it everyday? Let’s take a closer look. The PowerWatch 2 has a 42mm case, which is smaller in comparison to the PowerWatch X’s 52mm case. For those with smaller wrists, it’s a much better fit. Sadly, the case itself is thicker than ever, coming in about 1.5mm thicker than its predecessor at 15mm. It helps that the wrist bands are a little thinner. Despite the thickness, we couldn’t help notice how comfortable and lightweight the PowerWatch 2 felt on our wrist. The watch has a rugged look that isn’t our preferred style, but there’s no denying the design has been streamlined and made more compact over the previous model. The company has swapped out a bulky crown for flat buttons on all sides. There are also fewer flourishes on the bezel of the watch, which improves the look of the watch considerably; there’s just less going on, which makes it look cleaner visually. Sandwiched in between the aluminum case is a red lining for added flair. It makes the matte black color pop. The 1.2-inch LCD display is now in color, which is a first for the PowerWatch series.. 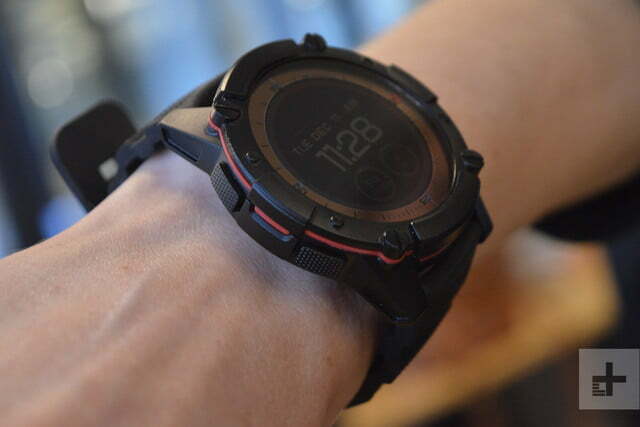 The PowerWatch 2 is rugged enough to sustain intense activity and survive its fair share of drops. It’s also water resistant up to 200 meters, so you can take laps in the pool and shower with it on, though Matrix doesn’t recommend any kind of deep diving. The 1.2-inch LCD display is now in color, which is a first for the PowerWatch series. It’s not touchscreen, so you’ll have to use the four buttons around the watch to navigate the interface. With each press of a button, you can scroll through different menus and view various metrics. It’s easy to swap out watch faces to your liking as well. Since we only had brief time with a prototype, it’s difficult to say exactly how bright and vivid the screen is, especially under broad daylight. From what we saw, the colors and data looked sharp, and we’ll be doing more testing to see if the screen is glanceable outdoors. Like most smartwatches, the PowerWatch 2 comes with built-in GPS, so you won’t have to take your smartphone to track distance of your biking sessions, runs, or walks. There’s also built-in heart rate sensors that track beats per minute — whether you are working out or not. The addition of both these features will allow for even more accurate metrics. The watch is still capable of delivering more accurate readings for calories burned, as it uses your body heat to charge up. 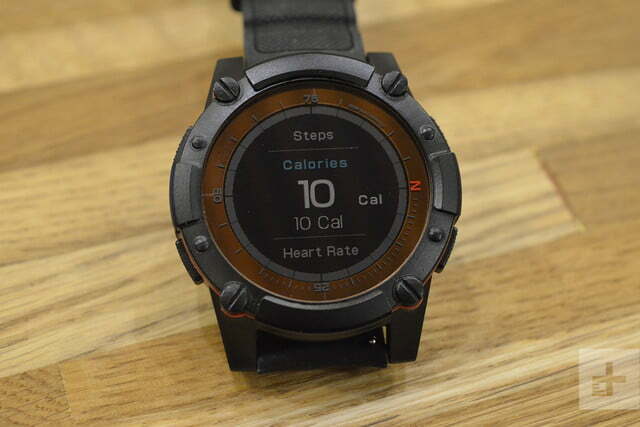 While you can use Matrix PowerWatch app to track your activity, the PowerWatch 2 is compatible with third-party apps including Google Fit and Apple’s HealthKit. This is new to the PowerWatch lineup as previous devices were not capable of integrating with other apps. In addition to using body heat to generate electricity, power is also converted when the watch takes in solar rays. It’s not just for fitness-tracking, though, as the PowerWatch 2 can also show notifications from your smartphone. Whether that’s phone calls, text messages, or social media, all notifications that arrive on your smartphone will appear on your wrist. 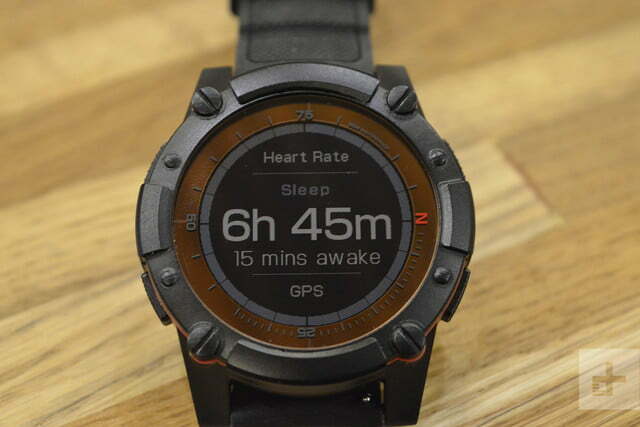 Normally, with this many features on a Wear OS smartwatch, we’d worry about whether the watch will last the full day. But Matrix has made sure to account for this by adding solar cell technology. 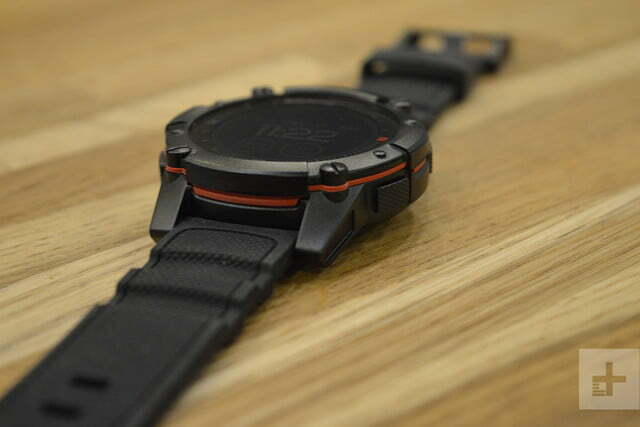 In addition to using body heat to generate electricity, power is also converted when the watch takes in solar rays. It all works in conjunction. Thankfully, you don’t need to be in direct sunlight for the PowerWatch 2 to absorb the sunlight to turn into solar energy — as long as there is even the slightest exposure to light, whether that’s through windows inside of a building, the watch will be kept juiced up. The Matrix connected app, available for iOS and Android, received a complete overhaul since the launch of the original PowerWatch. The app originally didn’t offer much information other than data like calories burned, steps taken, and sleep. You were also able to add “friends” to the app to compare metrics. While we didn’t have hands-on time with the app, we were able to see a preview through a few screenshots. First off, the interface looks far more attractive than ever before, and the app also seems more useful. When you open it, you’re greeted with the same metrics as before with the addition of how much total power your body is generating throughout the day. Once you keep scrolling, you’ll also see an overview of your last workout. For example, if you went for an outdoor run, the app will show results like distance, pace, average heart-rate, active calories, and the maximum beats per minute throughout the workout. Below that, you’ll see a map of your exact run along with a graph of your BPM at particular mile markers, as well as splits throughout your run. The interface looks far more attractive than ever before, and the app also seems more useful. Daily metrics are also displayed in detail in organized bar graphs, and whether that’s steps throughout the week or the amount of calories burned during the day, the app will allow you to pinpoint your activity right down to the hour. There’s also a graph that measures sleep activity, so you can see the amount of time slept as well as when you were awake and/or restless. 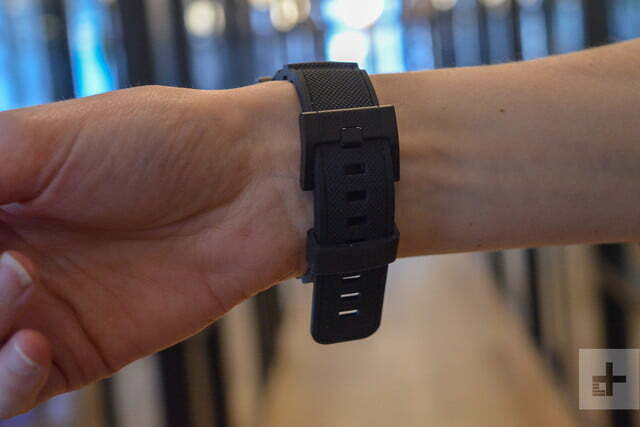 Since the PowerWatch 2 converts body heat to use as electricity to stay charged, there’s also a section that breaks down how much heat your body is generating. It will measure and show your peak temperature throughout the day along with your average temperature. The app will also show the amount of power coming from your body as well as solar power — both of which are measured in microwatts. Below that, the metrics are displayed in a graph allowing you to see how the power generated fluctuates throughout the day. The PowerWatch 2 retails for $500 and is now available for pre-order through Indiegogo. As a part of an early-bird promotion, those who do pre-order the device can snag it for $200. One of our main gripes with the original PowerWatch is that it simply didn’t do enough. That has been remedied with the PowerWatch 2, and the work Matrix has done to limit the need to take the watch off to charge it continues to impress. 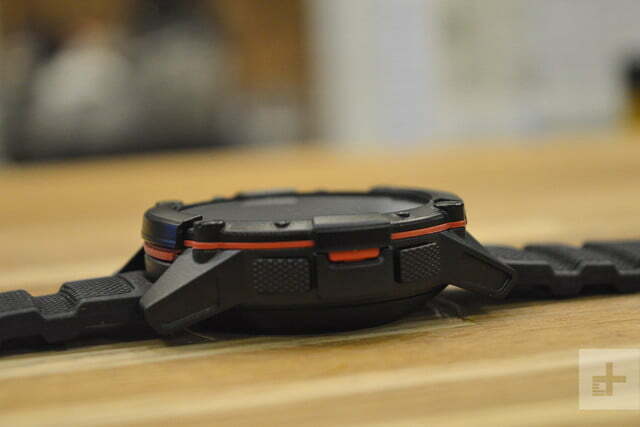 We’re excited to test the watch to see if it’s the only smartwatch you’ll need to wear.